Dr. Che Bing CHIU's presentation on will begin at 2:00 p.m. and is free and open to the public. The lecture will be followed by a public reception from 3:30 to 5:00 p.m., where refreshments will be served. Yuanmingyuan, the Garden of Perfect Brightness in northwest Beijing, was simultaneously China’s most famous garden and one about which little was known. It had hills, ponds, lakes, and palaces filled with treasures. Although ordinary Chinese heard about the beauty of the garden and its treasures, they could not enter it. With its burning by British and French troops in 1860, the garden became a myth in the full sense of the term. 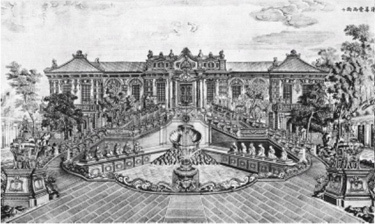 Construction of the garden began in 1709 and took more than 150 years to complete. It served six generations of Qing emperors. The Garden of Perfect Brightness became the symbol of the Chinese Empire and the real seat of the imperial power, since the Manchu sovereigns preferred to reside there rather than in the Forbidden City. By the time the Garden of Perfect Brightness was destroyed, it was the most important imperial garden of China and held an important library, a priceless art collection, and an open-air museum of architecture and landscape architecture. With its destruction, part of the history of China and part of the memory of mankind were irretrievably lost.